Bill Wilson was born in 1947 in Mt. Pleasant, Iowa. He was commissioned through the Air Force ROTC program at Iowa State University on May 29, 1970, and went on active duty on June 27, 1970. Lt Wilson completed Undergraduate Pilot Training at Laredo AFB, Texas, in July 1971, graduating 5th in his class, and was assigned as an F-111A Pilot/Weapons System Operator with the 428th Tactical Fighter Squadron at Nellis AFB, Nevada, in September 1971. Wilson deployed with the 429th Tactical Fighter Squadron of the 474th Tactical Fighter Wing to Takhli Royal Thai AFB, Thailand, in October 1972, and flew 37 combat missions before being forced to eject over North Vietnam on December 22, 1972. He managed to evade his enemies for a week before being captured and taken as a Prisoner of War on December 29, 1972. After spending 91 days in captivity, Lt Wilson was released during Operation Homecoming on March 29, 1973. He was briefly hospitalized to recover from his injuries at March AFB, California, and then completed Pilot requalification at Randolph AFB, Texas. 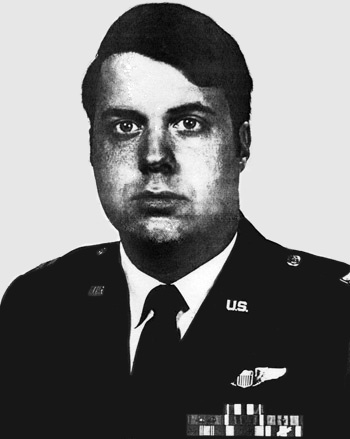 Capt Wilson served as a T-38 Talon instructor pilot with the 71st Flying Training Squadron at Moody AFB, Georgia, from February 1974 until he left active duty on September 15, 1975. He then served as an F-100D Super Sabre pilot with the 132nd Tactical Fighter Wing of the Iowa Air National Guard from September 1975 until he went into the inactive reserve on October 16, 1978. After leaving the service, Bill worked for Boeing for many years as a flight deck design engineer, and was the lead engineer for cockpit design for Boeing's X-32 Joint Strike Fighter Concept Demonstrator. He is currently a manager in F-22 Raptor Pilot Training Systems. Bill and his wife Gayle have three children from previous marriages and three grandchildren. 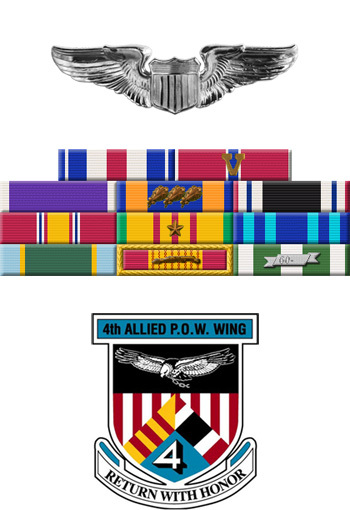 First Lieutenant William W. Wilson distinguished himself by gallantry in connection with military operations against an opposing armed force near Hanoi, North Vietnam on 22 December 1972. On that date, Lieutenant Wilson, as Weapons System Officer, struck a vital storage area in the heart of Hanoi destroying a significant quantity of stockpiled military supplies. Despite intense and extremely accurate antiaircraft fire and the surface-to-air missile threat, Lieutenant Wilson continued his mission. 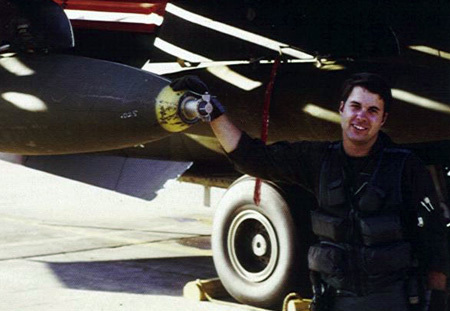 Suffering the loss of one engine over the target, Lieutenant Wilson was still able to direct his aircraft out of the immediate Hanoi area before he was forced to eject. By his gallantry and devotion to duty, Lieutenant Wilson has reflected great credit upon himself and the United States Air Force. Lt Wilson with his F-111A in Thailand, circa 1972.